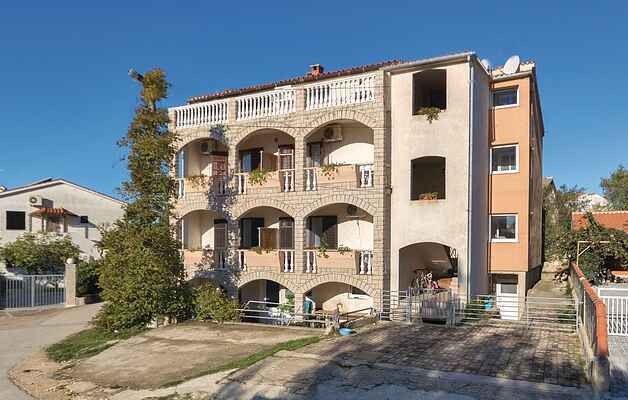 These simple and functionally furnished holiday apartments are located in a multi-family house, in the popular tourist resort of Medulin. On the shared plot there is a barbecue and garden furniture at all guests' disposal. In Medulin itself, there are pebble beaches and a sandy beach as well as a lively promenade with numerous bars and restaurants. Leisure activities such as diving, cycling, boat excursions and a visit of archaeological sites will enrich your holiday.